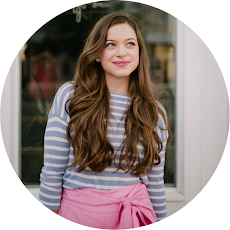 Remember back in the spring when I wore this top in my "Derby Casual" post? Well today I am bringing it back for a sassy fall outfit. I love the silhouette this top creates, especially when you pair it with riding boots and jeans. 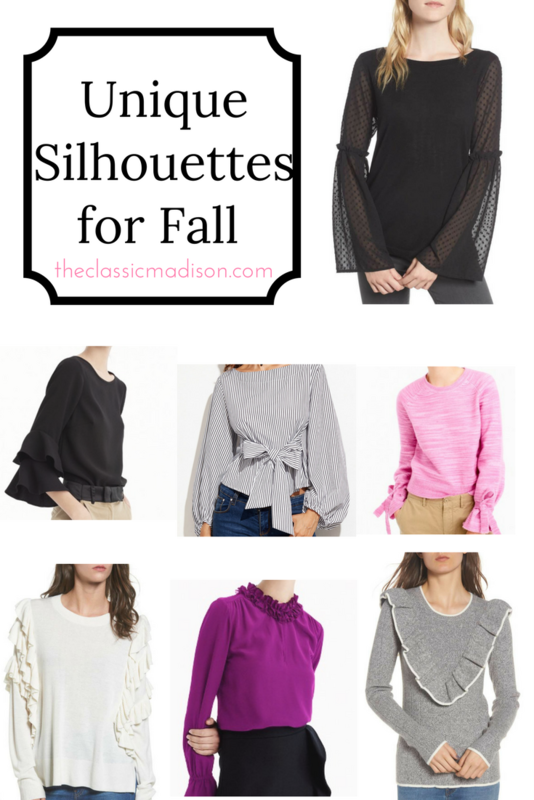 In addition to this outfit, I am sharing with you all some of my fave tops for fall with a unique silhouette. This season (as well as this year) has brought new, daring trends for preppier fashion. 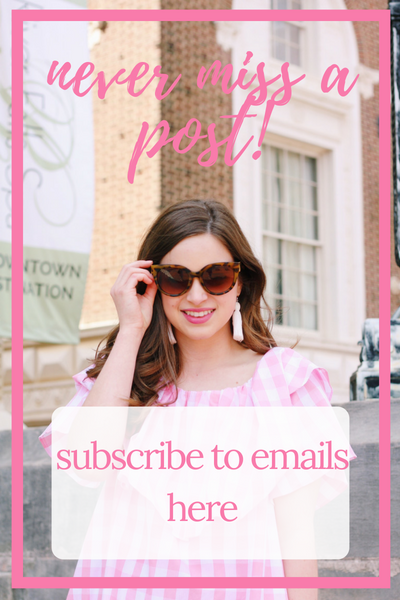 Ruffle sleeves, bell-sleeves, and surprise bows have infiltrated our clothing (but who's to complain?). 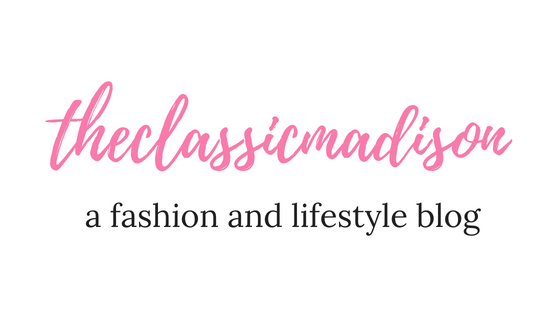 I can always count on certain brands, such as J.Crew, Shein, and basically anything from Nordstrom, to utilize these trends in a classic and sophisticated way. My closet definitely looks different than it did several years ago. I never would have worn a lantern or ruffle sleeved top two years ago. But something about this trend has sparked and I feel that it's definitely going to be around for a while. Fall and winter are the perfect seasons to bring out these styles because of the endless ways you can wear them. Take this outfit for example: skinny jeans, riding boots, and the statement top. Or wear a ruffle sleeved pullover, leggings, and fashion sneakers for a laid back, but still cute, look. Or dress up an outfit with a bell sleeve top, mini pencil skirt, tights, and heels. So many combinations, all of which are chic and perfectly on trend. Shein describes this top as having lantern sleeves. I love the puffy sleeves and the bow that cinches in the waist, creating a well-balanced silhouette in contrast with the heavy sleeves. I absolutely adore unique tops like these because they give you a chance to express your style. Now onto the blouses I have my eye on for this season. I already have several ruffle sleeve blouses and sweaters, but who's to say I can't get more? I love unique silhouettes, whether that be in the sleeves or the overall shape of the blouse. I also think these pieces make for an easy outfit- just pair it with skinny jeans and boots and you have a fall outfit ready for multiple occasions.